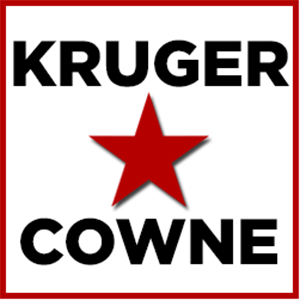 Our second Kruger Cowne Breakfast Club meeting was a roaring success – this time we opted for a trade-only audience, as to create a warm introduction for both Jeremy Gilley and Rageh Omaar to those who may not have known the two were available for speaking engagements. With that, Jeremy Gilley, the founder of Peace One Day, opened with a ten minute speech encompassing his motives to launch the Internatinal Day of Peace, as well as delving into the business and networking aspects of setting it up and building it to become what it is today. The latest figures from the McKinsey Report suggest that over 1.5 Billion people are now aware of the Day. Jeremy’s mannerisms, enthusiasm and go-getter energy were entrancing and as such, when they were given the chance later on, our audience jumped at the opportunity to ask Jeremy questions. For more information on Jeremy, see here. After Jeremy, ITV’s International Affairs Editor, Rageh Omaar took over the mic. He focused mainly on the dangerous and unreported aspects of his jobs, both present and past, reflecting particularly on his time as a War correspondent in during the early days of the Iraq-US conflict in Baghdad. From there he stemmed into how he became involved in the world of journalism and what it took for him, as a young muslim, to make his presence felt within the realms of television. Throughout his talk and the questions that followed, Rageh managed to convey a light-hearted and informative recollection of his career to date and with that, drew in a number of insightful questions from the audience – needless to say, his answers were vivid and enlightening. For more information on Rageh, see here. Thank you to all who attended and a special thank you to our guest speakers, Rageh Omaar and Jeremy Gilley. Should you wish to attend, please contact [email protected] or visit our KCBC page.